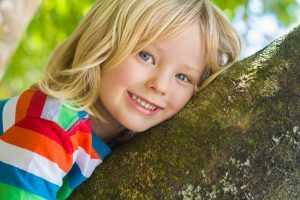 Dental Sealants from My Children’s Dentist — Are They Necessary? Does your Sugar Land baby love sugar? Children can’t get enough of the sweet stuff, including candy, soda, cake, and ice cream — basically, anything that is bad for their teeth. Plus, they might not have yet mastered a good oral hygiene routine, making their smiles vulnerable to cavities. In fact, tooth decay is the most common childhood disease! It is important that you help to protect your young one’s teeth. One way you can do so is by talking to your children’s dentist in Sugar Land about dental sealants. Comments Off on Dental Sealants from My Children’s Dentist — Are They Necessary? If you put a brighter, more beautiful smile on your wish list this holiday season, it’s time to make it happen. Many patients think that cosmetic dentistry is just for the very rich or celebrities, but a good cosmetic dentist can offer a wide range of services to deliver a beautiful result within any schedule or budget. 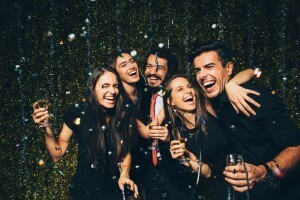 Keep reading to learn more about finding a cosmetic dentist and what treatments you should consider in order to transform your flawed teeth into flawless smiles you’ll be proud share this holiday season. Should I Use Charcoal or Visit My Cosmetic Dentist in Sugar Land? Has your confidence been lost along with your bright white smile? 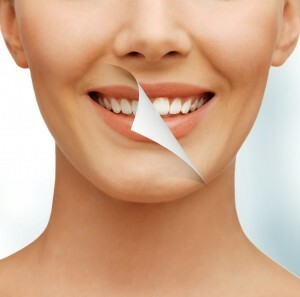 If your teeth have lost their luster due to discoloration, it is easy to feel insecure about your appearance. Whether due to age, genetics, stain-causing foods, poor oral hygiene, or bad lifestyle habits, they cause you to hide your mouth when smiling, talking, or taking pictures. To revitalize your smile, you have yet to visit your cosmetic dentist in Sugar Land because you have recently seen an at-home remedy that claims to produce drastic results. Now, charcoal teeth whitening is all the rave, but is it safe for your teeth? Comments Off on Should I Use Charcoal or Visit My Cosmetic Dentist in Sugar Land? You love Houston – moving here to take the promotion of your dreams was definitely the right decision. Now that you’re hear and getting settled in, you love the nightlife, the great restaurants, and the fact that you’re not too far from the beach. But there’s one thing you haven’t been able to figure out since you’ve moved: finding the right dentist in Sugarland. In this post, the tem at Texas Got Smile shares their tips on how to select the perfect oral healthcare professional for you. Use the 4 C’s to make dental care easy. Cosmetic Dentist in Sugar Land Can Revamp Your Smile! Ever since you were a child, your dream has been to hit the stage and show off your vocals to the world. The singing part always came easy, but having the confidence to open your mouth in front of everyone is a different story. Tooth decay has attacked your back teeth and discolored your molars and they’re clearly visible when you hit those impressive high notes. You’re ready to bring your career to the next level with confidence. Dr. Davey, your cosmetic dentist in Sugar Land, can help any patient that isn’t entirely confident in the aesthetics of their smile. We provide comprehensive cosmetic services that can fix your flaws and even provide better functionality! Comments Off on Cosmetic Dentist in Sugar Land Can Revamp Your Smile! Search for “dentist near me” and that’s all you’ll get—dentists who have offices near you. However, if you’re looking for a dentist that is conveniently located near your home or work and that will provide a comprehensive offering of dental services, then you’ve found him! 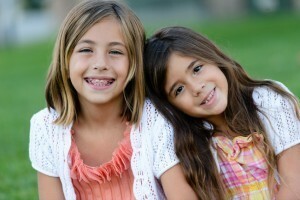 Sugar Land dentist Dr. Paul Davey and his team are well-trained and experienced professionals. They use state-of-the-art technology to give you and your family outstanding treatment, whether your appointment is for a routine dental checkup or a more complex procedure. Read on to learn more about the services we offer. It will be New Year’s Eve before you know it. That means you are going to be popping up in a lot of pictures that will quickly be all over social media. You want to go into all of the festivities with confidence, and one of the best ways to do that is by knowing you have a gorgeous smile. 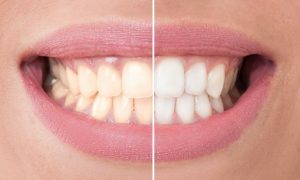 Teeth whitening in Sugar Land is one of the simplest ways you can revamp your smile and look your best this New Years, and you can get it today from Dr. Paul Davey at Texas Got Smile. As a parent, you take great pride in ensuring your child grows strong and healthy. However, one area many parents overlook is dental health. Since the baby teeth eventually fall out, too many parents underestimate the importance of teaching oral hygiene habits from an early age. However, the younger you start teaching children to care for their teeth, the more likely these habits will carry over into adulthood for a lifetime healthy smile. As a children’s dentist in Sugar Land, we encourage you to set the right foundation for a lifelong commitment to oral health. If the thought of going to the dentist makes you downright terrified, you are not alone. Many people feel anxious or fearful about their dental appointments, and for some it prevents them from getting much needed dental work done. You should know however, that there are options available to help you feel more relaxed and at ease during your dental appointments. 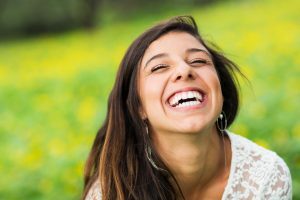 Learn here how sedation dentistry can help ease your dental fears. Each day the link between your oral health and your overall health and well being is becoming more and more apparent. Doctors are finding connections with periodontal (gum) disease and other chronic health conditions such as diabetes, cardiovascular disease, strokes and obesity. Being proactive about your oral health means taking care of your general health as well. Your Sugar Land dentist discusses the link between periodontal disease and obesity.